A default database file name Database1 appears in the box. You can edit this to a more relevant name, such as QB Link.accdb. 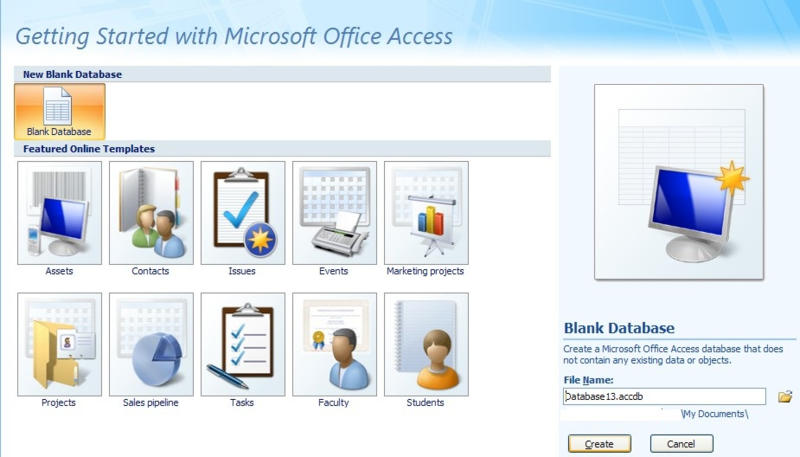 Save the file as type "Microsoft Office Access Databases". 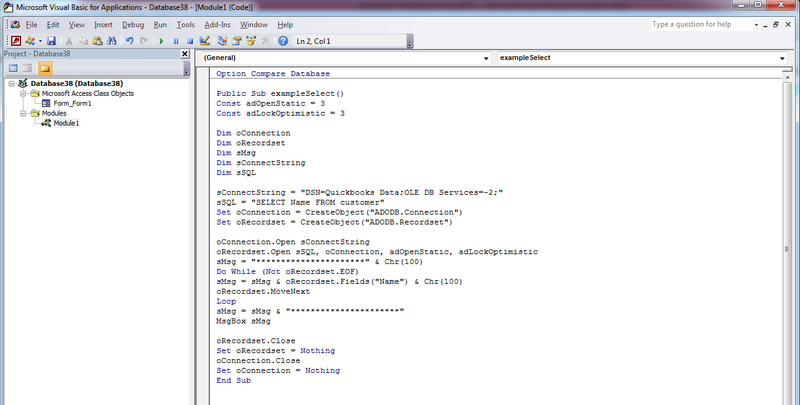 *Note: use "QuickBooks Online Data" instead of "QuickBooks Data"
sConnectString = "DSN=QuickBooks Online Data;OLE DB Services=-2;"
sSQL = "SELECT Name FROM customer"
sMsg = sMsg & "**********************"
sSQL = "Insert into customer (Name) values ('Testing VB')"
sSQL = "Update customer set Name='Updated Testing VB' where name='Testing VB'"
sMsg = sMsg & "Record Updated!!!" sSQL = "delete from customer where name='Updated Testing VB'"
sMsg = sMsg & "Record Deleted!!!"